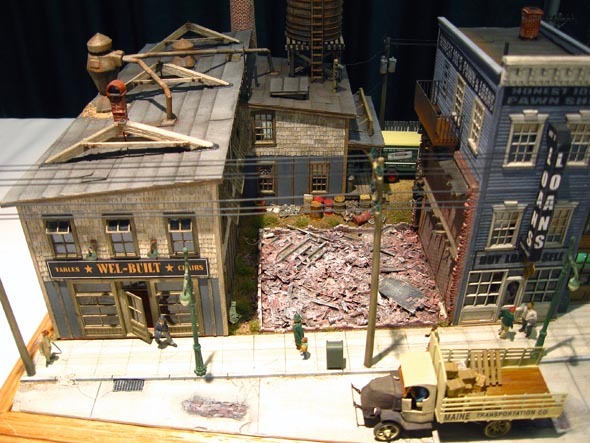 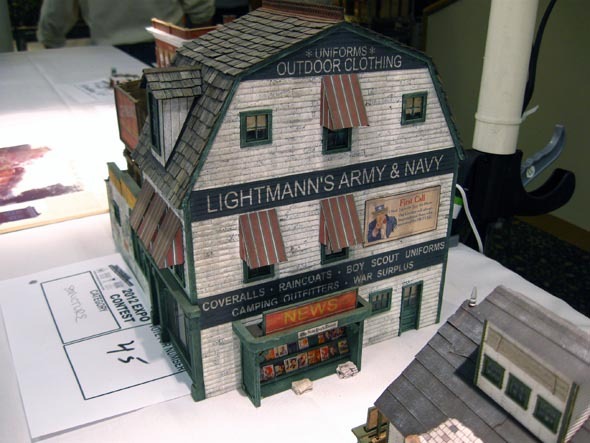 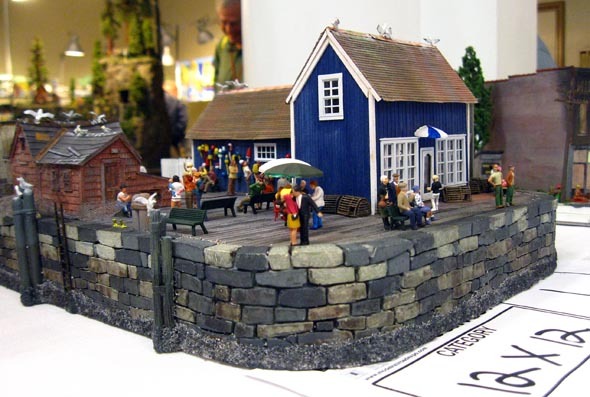 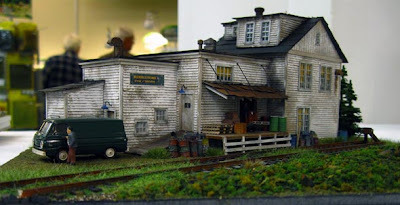 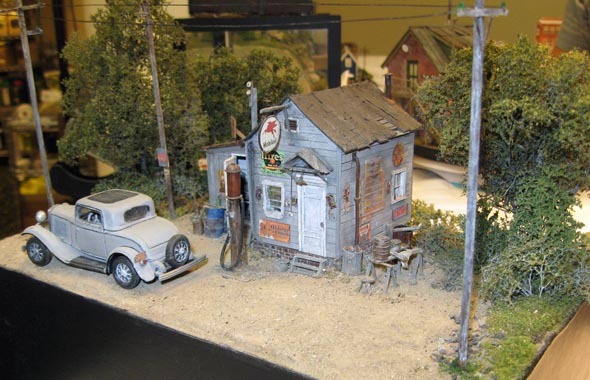 One of the one foot square diorama entries. 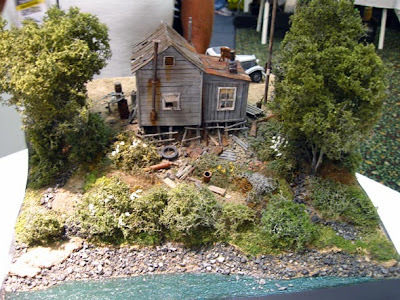 Here is the smallest diorama I saw. 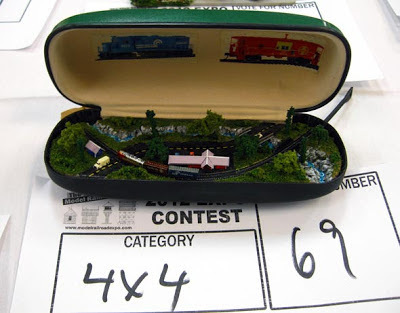 It is in a sun glass case. 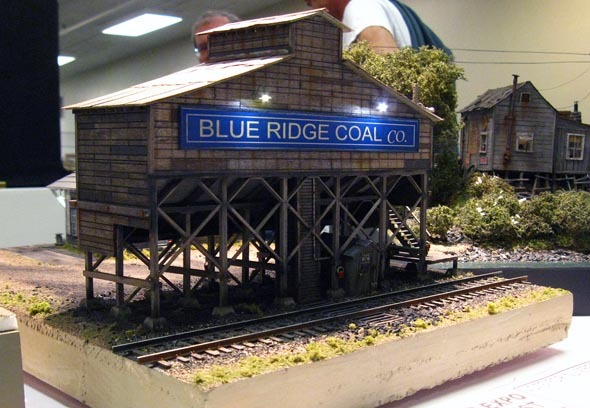 This is a O scale structure that won one of the prizes. This was a interesting diorama with a torn down building in the mix.